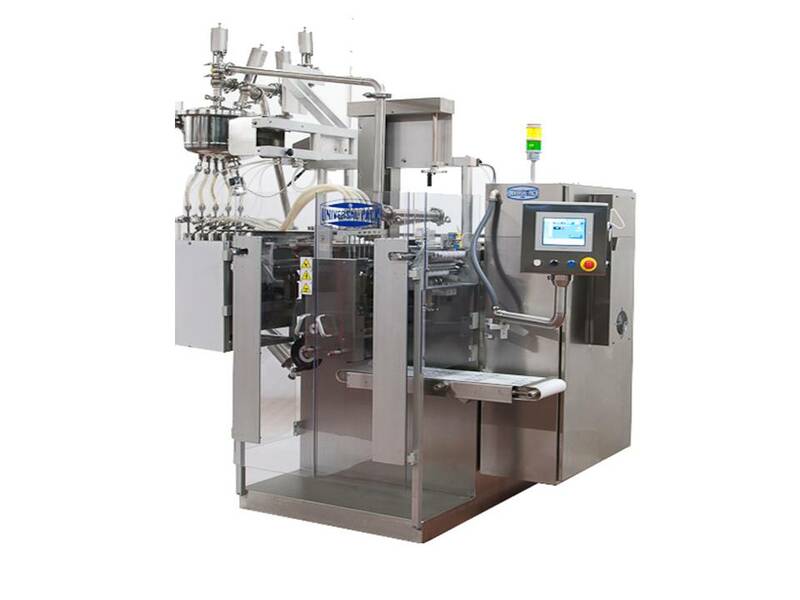 A complete and fully automatic Cleaning in Place (CIP) system to clean the hopper and the dosing /filling device has been displayed in the Exhibition in Poznan – Polagra-Tech 23-26 September 2013. The sachet machine is designed and developed by Universal Pack R&D department according to EHEDG Guidelines and 3-A Sanitary Standards, no dismantling or setup “change over” is required for CIP. A rotating spray ball assures complete cleaning of the hopper. The cleaning operation is automatically done through product valves combining different cycles which are managed and monitored by HMI. Universal Pack Clean-in-place (CIP) is a system of cleaning the inner surface of nozzles, cylinders, pistons, allpipes and manifolds in the circuit, without disassembly. The main benefit of using these methodsis that the cleaning is faster and less labor intensive.